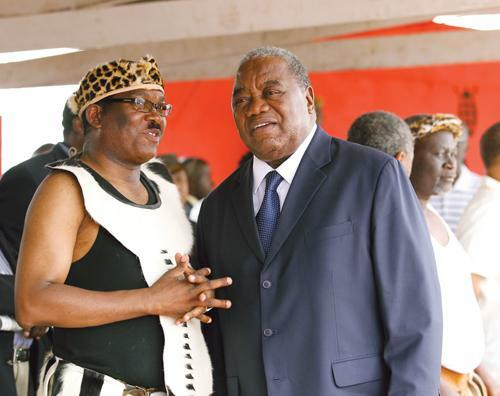 “Robinson Zulu, Likando Kalaluka and godfather Rupiah Banda in another windfall cash”Following the payment of $49m to “Lapgreen”, Zambia is preparing to pay another $50m. Most of the first $49 million was wired back to accounts of Zambian politicians including Edgar Lungu. Lapgreen was a subsidiary of the Libya Investment Authority(LIA) a sovereign wealth fund owned the Libyan government. Following the war and collapse of the central government the LIA has fallen to crooks whose claims across the world are being ignored until a legitimate government emerges that would have legal authority to control the sovereign wealth fund and assets such as those being held by the LIA. But Felix Mutati, Attorney General Likando Kalaluka quickly entered into a consent judgment in the Lusaka High Court with LAP GREEN and further sealed by registering it in the London High Court Arbitration. If the Zambian government proved corruption in the sale of Zamtel to Lapgreen, Rupiah Banda, Henry Banda, Dora Siliya and others would have been exposed for their corrupt role in the sale. So phony LAPGREEN officials appointed Meanwood Proprietor Robinson Zulu as local agent. Together with Attorney General Likando Kalaluka decided to enter a consent judgement to compensate LapGreen Network its initial investment in Zamtel amounting to US$252 million plus interest, calculated at 8%, and other charges. LIA, held stakes in nine telecoms operators across sub-Saharan Africa, including Chad’s Sotel Tchad, Oricel in Côte d’Ivoire and Gemtel Telecom in South Sudan and all these countries have refused to recognize the authority by a so-called LAP GreenN chairman Dr Faisel Geigab. The Arbitration process set up by London based Meanwood proprietor, Robinson Zulu under the London High Court Arbitration had ordered that Zambia compensates Libya $380million for nationalizing Zamtel. This was a matter in which the Libyan Investment Authority (LIA), the investment arm of the Libyan government dragged the Zambian government to court for abruptly reversing the sale of Zamtel without compensation in 2011. In the report, the LIA claims that the four countries took advantage of “Libya’s political turmoil to nationalise assets belonging to the country’s $66 billion sovereign funds” following the eight-month long conflict by the West that brought an end to Muammar Gaddafi’s 40-year rule. But Likando Kalaluka corruptly ended this process by entering into a consent judgment and later registering it at the London High Court Arbitration process set up by Robinson Zulu. The Financial Times quoted another LIA Chairman, Hassan Bouhadi, as saying the legal action related to technology assets in the four countries named. “The LIA is determined to regain what was squandered from the Libyan people,” Bouhadi said. After a corrupt completion of the process, Finance Minister Felix Mutati then went to Parliament in a ministerial statement that the “court” had ruled that Zambia should compensate LAP Green for seizing Zamtel from the Libyan sovereign fund in 2012. Instead, Attorney General Likando Kalaluka decided to enter a consent judgement to compensate LapGreen Network its initial investment in Zamtel amounting to US$252 million plus interest, calculated at 8%, and other charges. The repayment of the $103 million loan was considered to be the first step in compensating Lap Green over its investment in Zamtel. Secretary to the Cabinet Rowland Msiska instructed the Secretary to the Treasury to secure a loan from China’s Import and Export Bank (EXIM) to pay back the loan to ZTE on behalf of Lap Green.